Super pleasant and nice. I love all of the details, the spell animations, (especially the gardening one! I would love more wizard gardening) the lil' night animals coming out. I found the text bubbles a little hard on the eyes when they flew across the screen everytime sometime talked and also scrolled into existance at the same time. The story itself was nicely built up and had me crying + laughing. thanks for the info you guys! I'll redownload and hopefully give some more relevant feedback! Oh! My bad for not keeping up with the Steam version! Is there a way for us testers to download it or do I get to purchase it again? I haven't been able to find info on this. Best of luck in the final time of polishhhhh! I was just blown up by a bomb due to not knowing the explosion range - I did not even have the bomb visible on my screen yet it murdered me, which did not feel fair. A visible explosion radius would be super helpful! 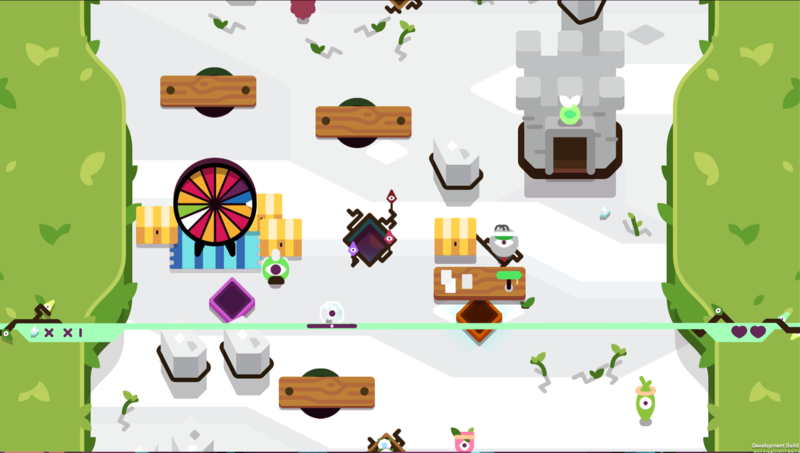 I have not had the time to play tumbleseed in a while, but I am glad I took the time today! Booted up the game after a two month abscence. I love how much care is put into the introduction of the game - which I think is needed considering how unique the gameplay is. In the opening scene - you start up the first tutorial bit without any sort of menu or settings. This was a bit annoying for me bcause I wanted to set the game to be on my 2nd screen. I realize now I could have just paused..wait have the settings always been in the pause menu?? Now I feel silly. Tutorial bit - when exiting and entering houses, the music pieces are individually nice but somewhat jarring to change between in my opinion. It was fine but the transition felt quite stiff music wise. Kinda like skipping a track on a playlist. The flagseed initially requires no diamonds but ends up requiring one diamond. Ahhhhhh inconsistencies! I can see your reasoning behind this though, hm! Wait why is this hat kid a scholar? They don't look like a scholar! Is there a backstory here I have not uncovered yet or do you guys not have established character personalities? I think you guys have a pretty neat opportunity to set up some nice characters considering one meets them every time one resets - but I understand that's in the super super polish department! For now this kinda took me out of it, especially since the same person was just hanging out outside a bit later. I've also been spoiled by breath of the wild's characters which may be why I'm more sensitive to this lol. I want the deflect shield to have more juice when it deflects! When testing powers - maybe have the seed to be tested fly into the teleportation thingy so that it is communicated the power "comes with" the player? Aside from that I am a bit worried players will just grab a power without testing it considering the testing area is above them - but maybe it's fine for players to figure that out afterwards. No explanations for what the bank or wheel of fortune is? I got to the 2nd area on my first run, maybe that is why? Or is that coming up in a later update? There were no speech bubbles and I was confused. SHOPS! Showing three items- alright! However balancing left and right to see the middle item while simultaneously trying to figure out a GIF while evaluating benefits and costs is super stressful! It's super uncomfortable to do two things at once for me - made the shops feel stressful rather than like a treat. Maybe simplifying the shop to only two items (either roll left or right to view item, up to grab it) or finding a less stressful way to preview items could be nice? This is minor, I know! On the leaderboards - I got no data. It's all empty. Not sure why. I use the itch.io client. Ohhh that's just steam right? Dang! Maybe this is due to itch - when using a PS4 controller on the scoreboard screen - "everyone" and "friends" will have the same X button attached to them, but pressing X does nothing for me? When restarting, you have to wait for the UI to finish popping up before being allowed to roll. Minor thing but I'd love to move at once. In the crystal rooms, as well as the shops, one has to roll close to items to see what they do. 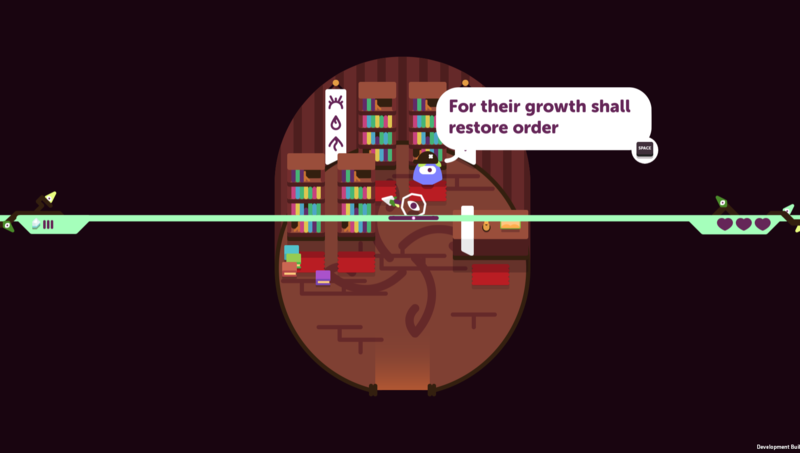 This is a bit irritating to me because a) I'm bad at making decisions and reading while simultaneously controlling the seed and b) it takes time to roll left and right and I want to get back into the flow of the game ASAP. The crystal rooms are already a flowbreaker for me so I'd love to minimize the time I spend there. To me, the shop seeds seemed a bit expensive - why pay lots of crystals for them when I can just find them in the real world? I might be missing something but I often just skip it to save time.